No jokes…This is serious stuff…Thanks to CCK. Put oats, salt and milk into a small pot and bring to boil. Lower the heat and simmer until cooked to your liking so that most of the excess milk is absorbed. In the mean time, put banana and peanut butter into a small bowl and blend into a pulp. 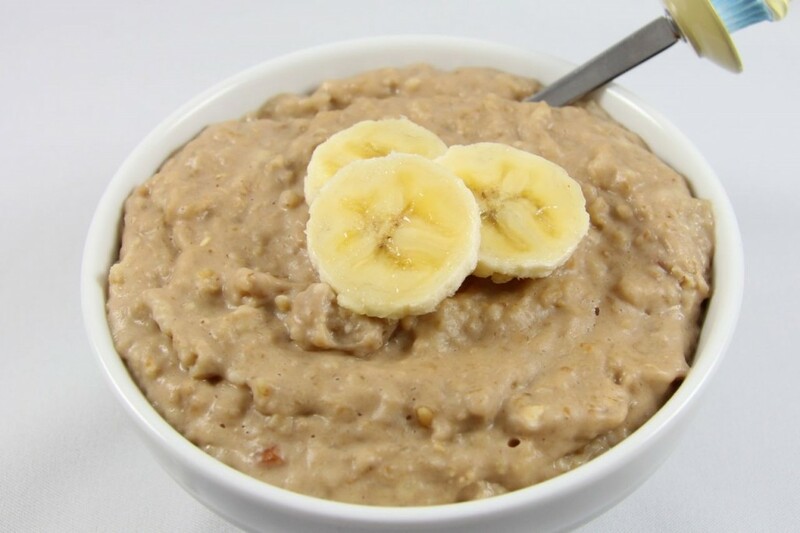 Once the oats is cooked, pour 3/4 of the oats mixture into the bowl with the banana mixture and blend with an immersion blender until it forms a smooth cream. Alternatively, pour this mixture into your blender and blend. When smooth, pour this oat/banana/peanut butter SUUPER yummy cream back into the pot with the other 1/4 of the oats and stir through along with the vanilla extract. Serve immediately. Makes you wish every meal was breakfast, doesn’t it!